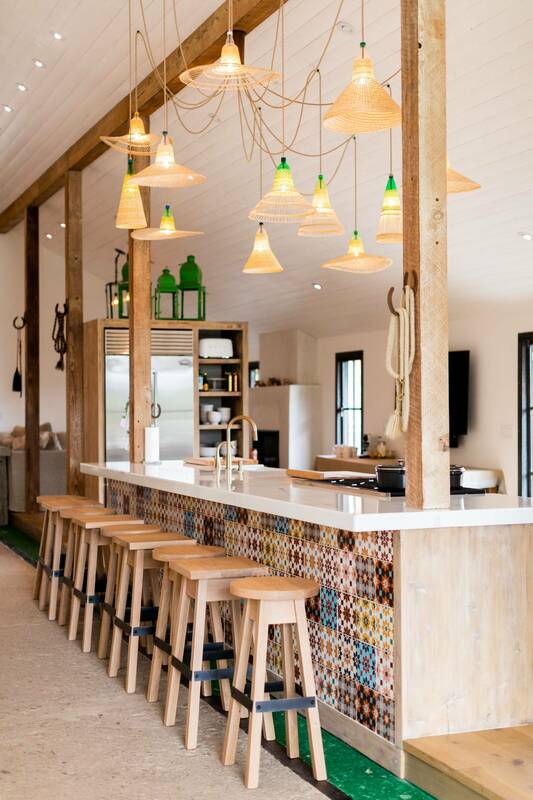 Designed by owner Jill Marshall, the farm house features a fun and fresh concept with thoughtful nods to the history of the property. 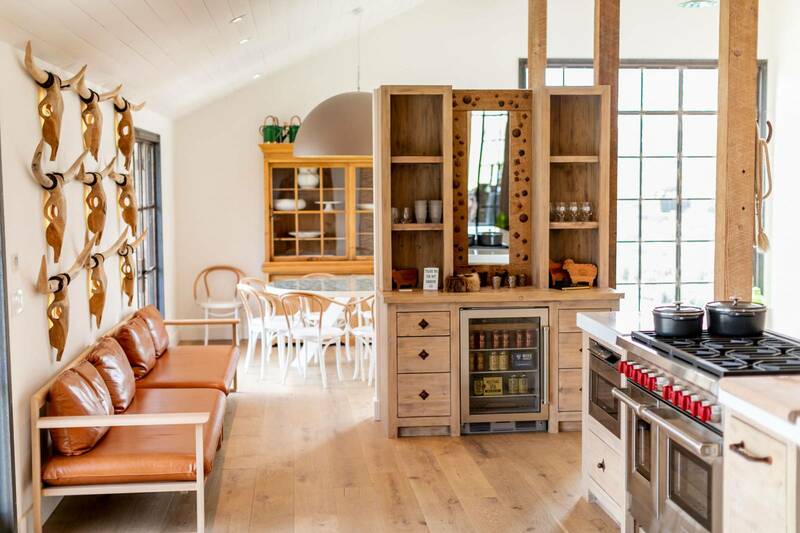 The property was originally a horse barn, with a long row of stables that now serves as the hallway focal point and a great space for gatherings of all types. In addition to being a perfect space for special events, the property is available for vacation rentals for the perfect weekend getaway. 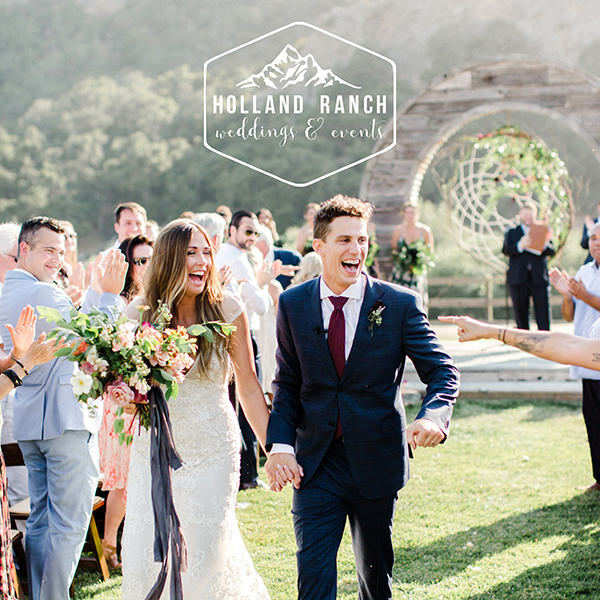 Designed by Vanessa from Vanessa Noel Events, a long table for guests nestled in the horse barn adorned with florals from Fluid Bloom Designs, terra cotta inspired tabletop rentals from Onyx and Redwood, and fun vineyard chairs, and the sweetest hanging lights from Avenue Twelve Rentals. This specialty lounge with pieces from Scout Rental Co and Avenue Twelve and draping florals provided the perfect space for guests to sit and enjoy beautiful views. This custom sign with linen and wooden details from Fete and Quill showcased all of the artists who helped the night come to life. Each place setting featured a custom menu and welcomed guests to their seats with custom name cards from Fete and Quill, and fresh linens from La Tavola Fine Linen. 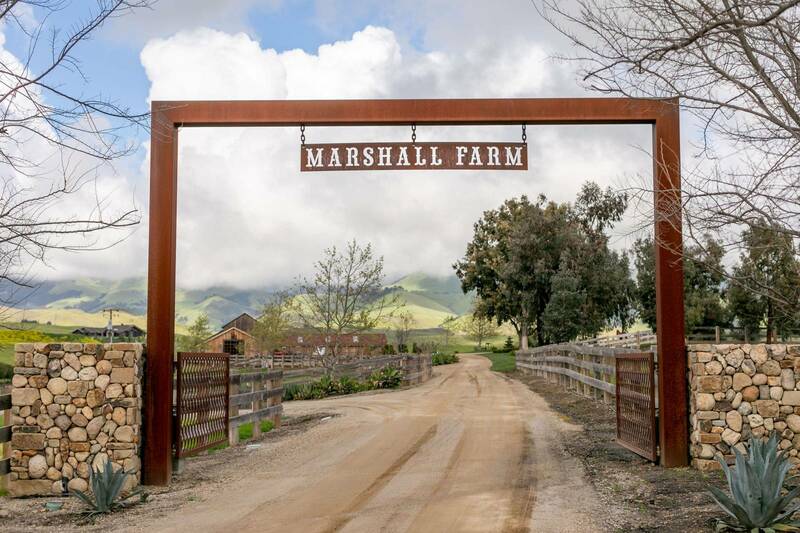 Guests arrived in style thanks to Elegant Image Limousine, enjoying a start to the party on the way into Edna Valley, and up the long road to MarFarm. The farm house is tucked away for an exclusive getaway, and guests enjoyed watching the green rolling hills on the drive in. Head Chef Tom can typically be found at SLO Brew Rock creating and serving specialty bar cuisine, but his talent and flare for flavors was clear in the creation of his impressive three course meal he created for the evening, with fresh and unexpected elements in each savory dish. Tom serves as the exclusive caterer for MarFarm, and love working with guests to create something custom that showcases fresh ingredients and farm to table inspired menus. Owner Jill Marshall and hospitality manager Casey Sperbeck shared a few words on the inspiration and love behind the space. 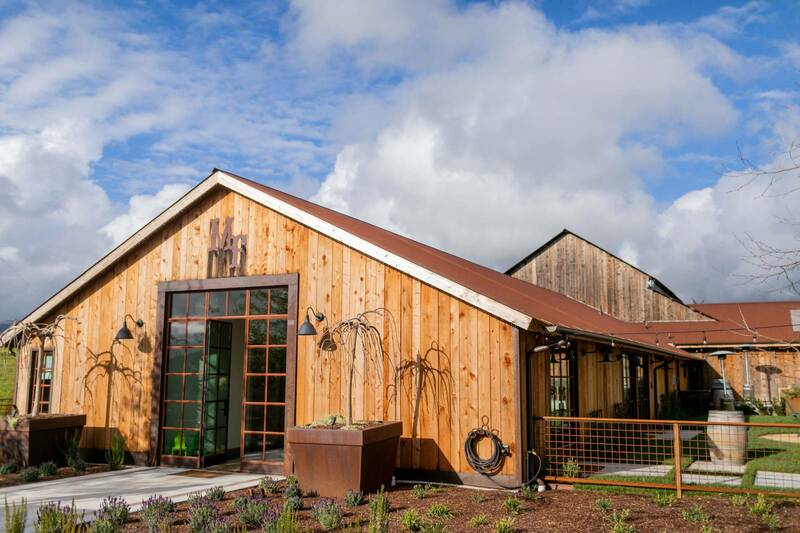 The farmhouse was crafted to be the perfect blend of high end and casual, according to Jill. Live in animal and authentic elements of the barn add to the casual farm feeling, while bespoke design elements and the spacious house create a one of a kind space. The night ended with affogatos from Negranti Creamery and fresh biscotti from Paper Cake Events.Pulling right up to the barn, the Negranti truck was the perfect way to end the evening in sweet style. Guests took home fun photo strips from The Photo Booth Experience, the perfect memory from a fun filled night!